This quintessential coastal cottage is loaded with vintage charm and old-world craftsmanship while offering the amenities of modern living. 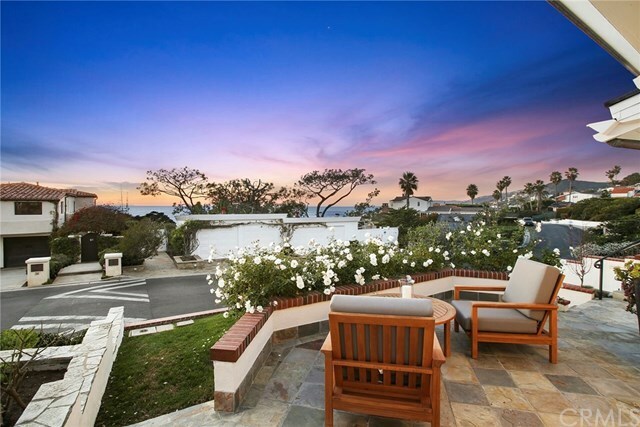 Located on the premiere street of North La Senda Drive in Lower Three Arch Bay, youâll enjoy ocean views, a stunning private beach, cool breezes on hot summer days and of course those spectacular Southern California sunsets. The elegant style of this homes allows for formal entertaining or casual get togethers. Directions: PCH to Vista Del Sol. Through lower Three Arch Bay gates. Right at North La Senda.